What’s Your Current Go-To Hair Style at the Moment"
I’ve been doing some form or fashion of a chunky braid for the last month because it’s the only way I’ve been able to tolerate my hair. I’m way overdue for a cut, but I’ve been putting it off because I keep getting the urge to chop it off into a short, spunky bob. Although I feel like I’m walking around with 20 pounds of hair on my head, I don’t want to do anything drastic or spur-of-the-moment, so I’m making myself wait! So yeah. 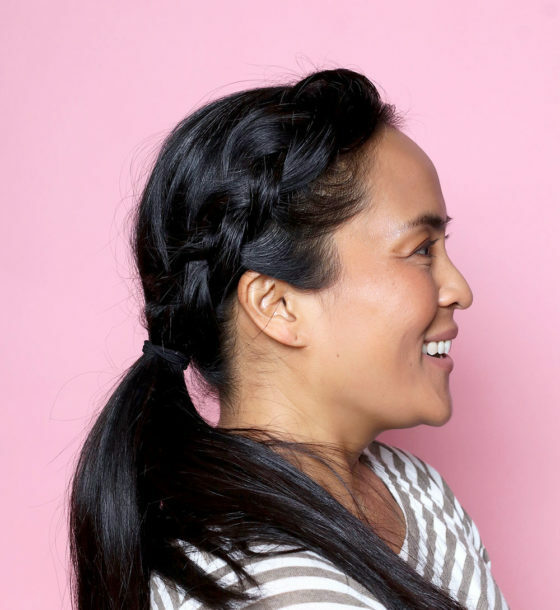 Not only does the chunky braid (or CB, as I like to call it) lift the hair off my shoulders and keep it out of my eyes, but it also tames the wayward silvers at my hairline and weaves the color of my natural hair into the colored bits in a way that isn’t jarring. What’s your current go-to hair style at the moment" High pony" Pixie cut" Low bun" Loose waves"
Continue reading "What’s Your Current Go-To Hair Style at the Moment"" on Makeup and Beauty Blog.